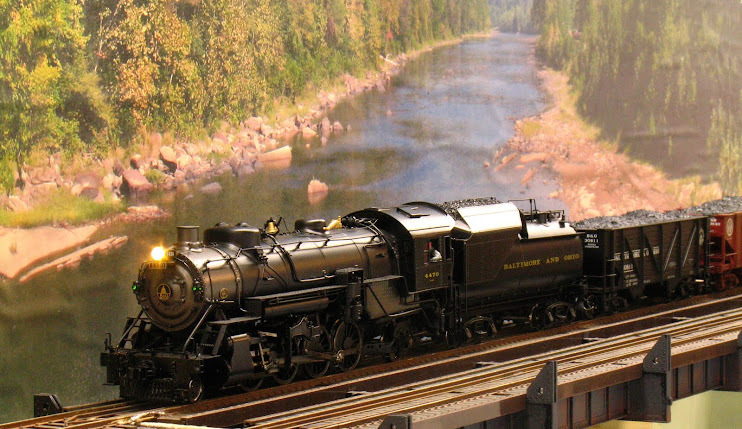 Boy, this year is off to a flying model railroad start! Jan 15-17 I was at the recording of Model Rail radio Show 100. 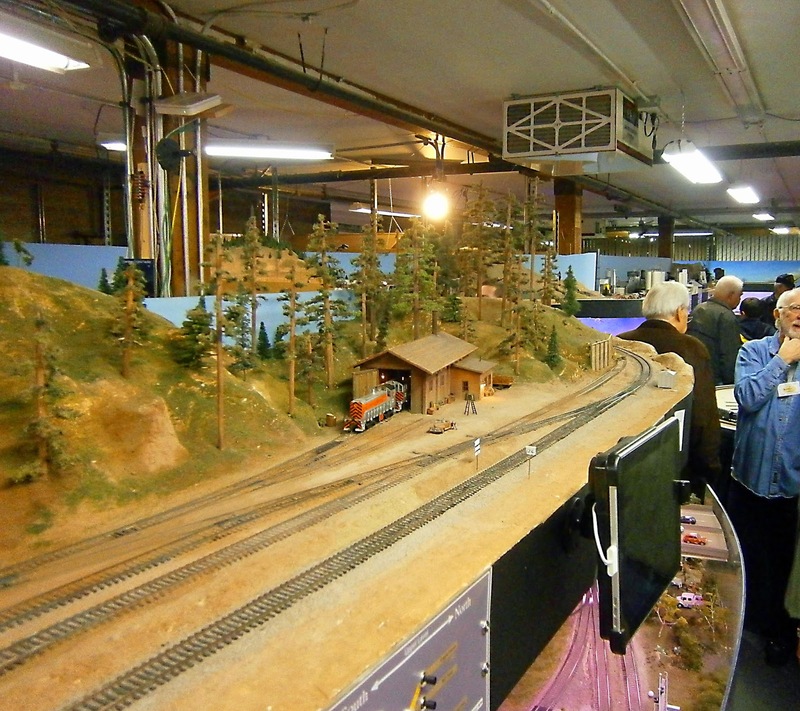 The show was recorded on the 17th; on the 16th I operated on Seth Neuman's layout and that evening on the Silicon Valley Lines. 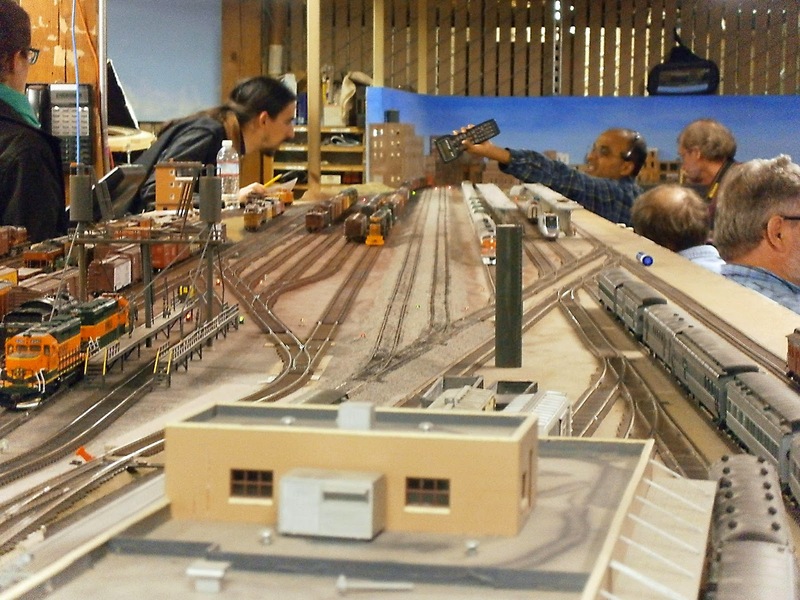 I enjoy operations, however I don't think that it will displace my preference of seeing big-time mainline railroading in miniature on O scale layouts. The weekend following the 100th show was the Springfield show. I had not intended to go, having just completed a cross-country trip; but when a business trip to Massachusetts arose for the following week how could I resist getting a two-fer-one? I drove up to MA on my own nickel and attended Springfield. On Sunday after the show I drove to the location of my business meeting which was cancelled later that night because of the impending storm. That left me to drive back on Monday before the storm hit. I made it in good shape with only some dicey driving conditions in the mountains. Here's the yard at one end of the Silicon Valley Lines. Here's another of their yards along the route. The other end of this same yard. One scene near the entrance to the SVL. The SVL is double decked throughout its entire length; and makes extensive use of new technology. iPads are located along the layout as control points (there's one visible in the picture above) and they have few conventional throttles. They were out of throttles when my train was called, Luckily, I had the JMRI throttle program on my tablet, so I used that to run my train. Lucky for me that I had it; I've had that program on my tablet for a couple of years and I have yet to try to get it working on my own layout. 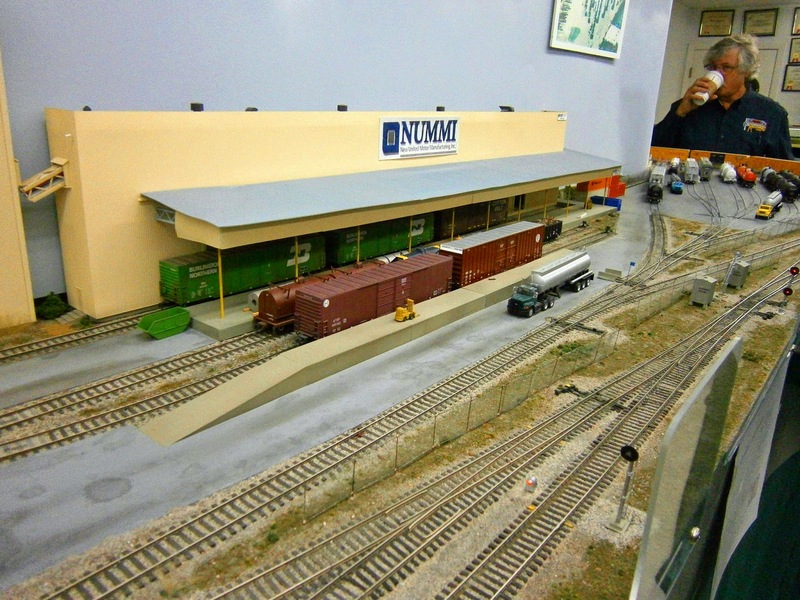 New United Motors Manufacturing Inc (NUMMI), the major industry on Seth Newman's layout. That's Seth in the background. Seth's layout has a working signal system (which I managed to overrun, but just once) and Seth has a working RFID system to track his car fleet (he also runs the RFID4MRR Yahoo group). 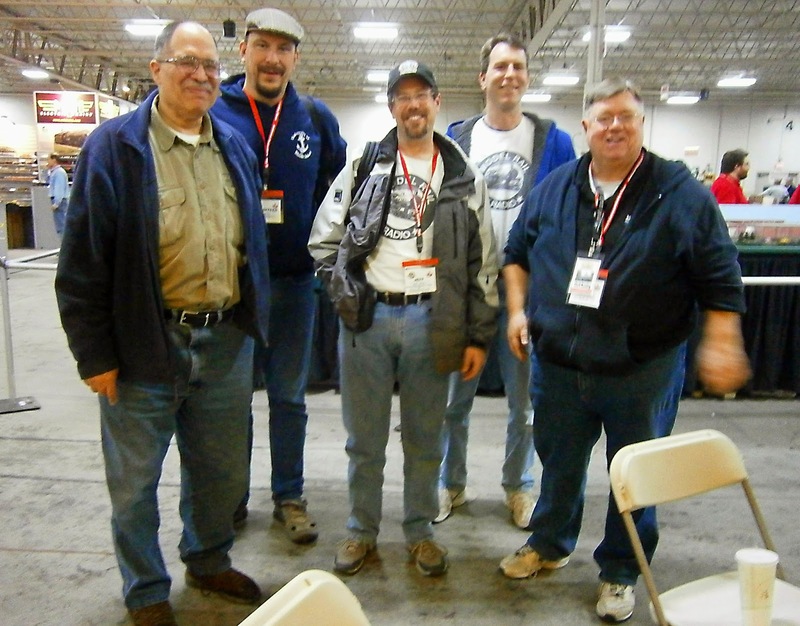 The model Rail Radio crew at Springfield. From the left, yours truly, Peter Stemple, Bryan Schilling, Ron Klaiss, Clark Kooning. 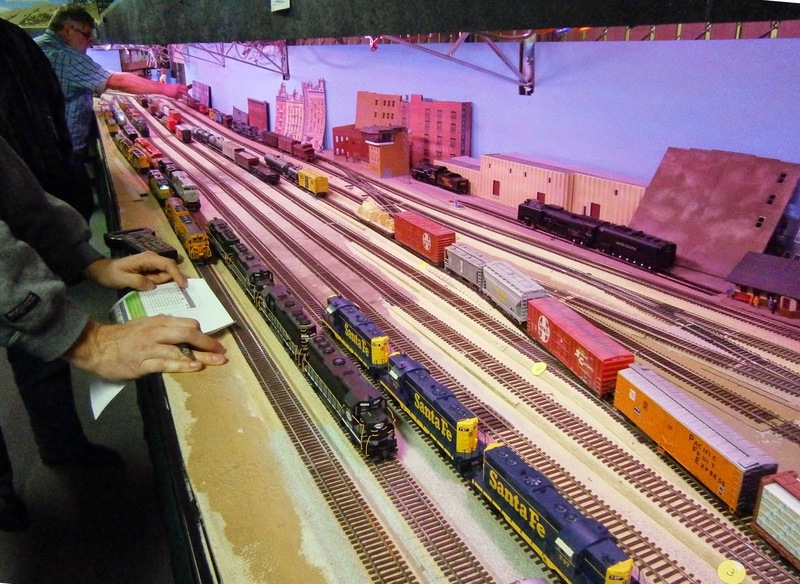 Three consecutive weekends and three model railroading events; not bad. So it's not surprising after attending three events with large crowds that the following weekend I was laid low with a cold. So this weekend is the first in over a month that I have spent significant time on my layout. The backdrop on Graveyard curve is taped, sanded and painted; and I've been laying track in isolated sections, inching the ends of the mainline ever closer to one another. Wow! 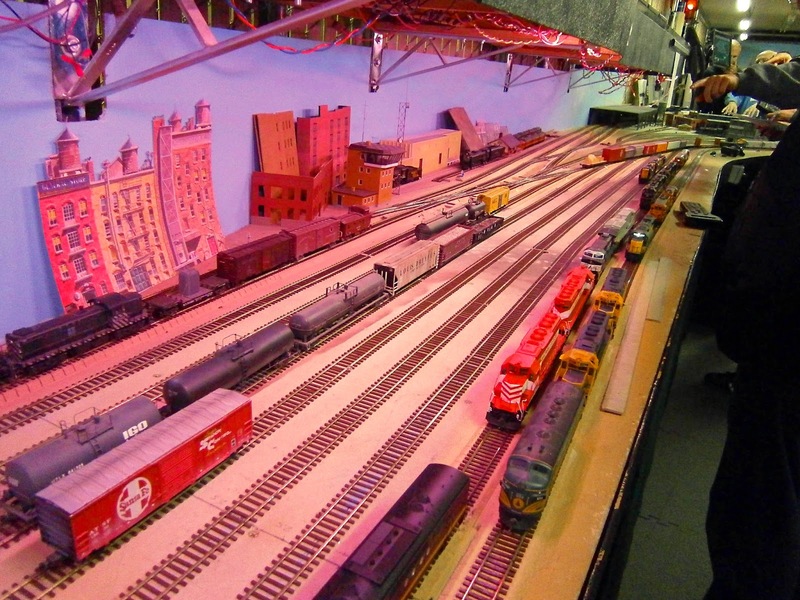 Now that is a busy model railroading month. It was great meeting you at Springfield. Depending on how Clark Koonings webinar goes on NMRA judging practices of models goes, would you consider sharing some of your work on the Ardiuno and Launchpad projects you've been working on? He is trying out live clinics done over Skype. The first is geared towards some of the question in reference to the NMRA AP and MMR program. PS: It's Klaiss, although I do have some "class".